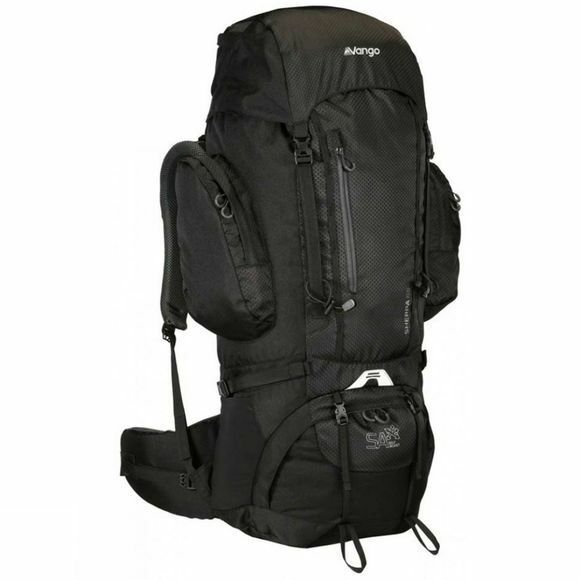 The Sherpa 65 Rucksack from Vango is a 65L all-round rucksack that features an adjustable back system so you can dial in the fit for efficiency and comfort. Made from durable materials, it will be able to keep up with you on those multi-day hikes and expeditions for years to come. To improve the comfort and fit, it has AirMesh straps so air can flow through them so you don't get strap sweat and also an adjustable shaped harness for your hips. With two zipped pockets on the sides, you can keep all your essentials within easy reach.